Explore the amazing landscapes and cultural heritage this autumn in Tuscany! A place where it is customary in the fall season to connect with nature – in the woods, foraging and harvesting. This wellness experience will allow you to detox from the stress of daily life by reconnecting to yourself through mindfulness, movement and nourishing practices, which are intertwined with living the simple life – La Dolce Vita! Uncover how the locals live off the land, and learn their deep rooted customs in wine, food, nature and simply living well! 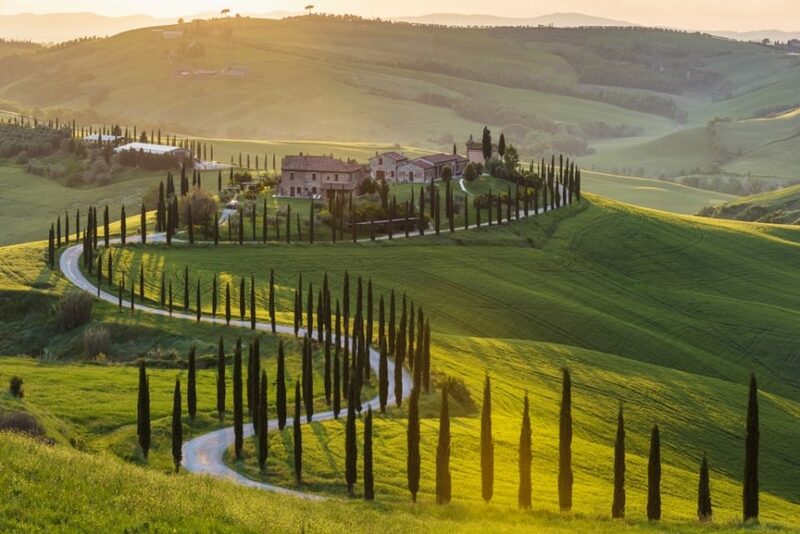 Our 2019 Wellness Immersive Travel Experience has been curated to explore, and uncover the rich lands of Tuscany your way! We’ve redesigned our offering to make this trip the experience for YOU, by creating two options to satisfy and align with your wallet, intentions and desires. Situated on a vast piece of land – encompassed by rolling hills, vineyards, groves, woodlands, an organic farm – and a river running through it all, we will be staying at Agriturismo Le Pianore. The villas are immersed within a 50 ha estate with no immediate neighbours – allowing for total privacy. The gardens are a playground for adults and children alike: lime, oak and cherry trees provide shade, while lavender and thyme, roses, jasmine and broom perfume and enliven the landscape. Dip into our swimming pool for respite from the midday heat and enjoy lounging on the deck chairs until sunset, watching the sky turn red and feeling the cool evening air descend. The retreat is a great option for those looking to find reprieve from their bustling lives, re-connect back to themselves, while being surrounded by nature at its finest, enjoying good food, great culture and people. The full immersive experience is what Nourished Union is known for. In addition to the full retreat option, noted above – you’ll experience: a specially curated autumn week in Tuscany, that showcases all of its amazing offerings and hidden gems! Each day we’ll explore the land by combining nature, physical activity, food, culture, all while connecting with the local people. And don’t forget the food! October is the time of olive & grape harvesting. We will visit local farms AND learn to cook some of Nonna’s best recipes from the Tuscan region. Additional Activities. Nourished Union is available to support booking, upon request – including spa, hikes and other tours.